Registration was open until 4/25/2019 at 3pm, and is now closed. By combining observation, interviews, simulation, and rapid prototyping, this team developed design solutions that help healthcare workers stay safe while engaged in challenging tasks. This webinar brings the experience of the healthcare practitioners who cared for Ebola patients during the 2014 outbreak and introduces a human-centered discovery approach developed by design researchers at SimTigrate Design Lab to define the design requirements of spaces where the risk of self- and cross-contamination is the highest. In this presentation, presenters will share the results of the second phase of a large research study funded by the CDC on doffing of personal protective equipment (PPE) and guidelines for the design of critical environments. Understand the impact the design of the built environment has on human behavior and how it may reduce cognitive load and increase safety during doffing of PPE. Identify simple and cost-effective strategies to reduce cognitive load and increase staff safety while designing new or retrofitting existing biocontainment units. Explore opportunities to apply rapid prototyping as a research method for other task-oriented spaces where staff safety is a concern. Learn how research can be used to inform design decisions for practitioners and develop guidelines for spaces where safety is the highest requirement. 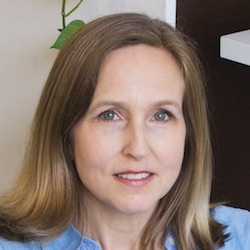 Jennifer R. DuBose is the Associate Director of the SimTigrate Design Lab and a Senior Research Associate with the College of Design at Georgia Tech. Her research focuses on evidence-based design for healthcare facilities. Her work seeks to expand the functionality of tools such as simulation, observation and mockups for understanding the impact of space on behavior and outcomes. She has authored numerous peer-reviewed articles and has been an invited speaker at national and international meetings. 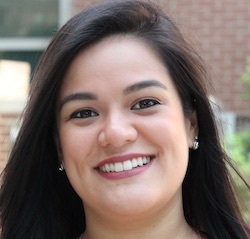 Maria Wong is a graduate research assistant at the SimTigrate Design Lab and a candidate for M.S. in Human-Computer Interaction (HCI), with a focus on industrial design. Maria received a B.S. in Industrial Design from the Georgia Institute of Technology in 2017. Working as an undergraduate assistant at the Wearable Computing Center sparked her curiosity in interactive products and user experience research and design. She is interested in finding new ways to apply her studies in HCI to health and well-being and how the technology embedded in the built environment may influence human behavior. ** Many attendees of the Center for Health Design’s Webinars have inquired about IDCEC approval so they can earn ASID, IIDA, and IDS CEU’s. We have looked into this and unfortunately, the cost to upload courses to IDCEC is simply too high at this time. You can still earn credit for attending our webinars by requesting an attendance verification certificate. Please contact Natalie Gonzalez, Project Manager, ngonzalez@healthdesign.org. For further details about how to self-report CEUs to IDCEC, please CLICK HERE.